Central Ohio’s large public companies last year took advantage of attractive prices and low borrowing costs to acquire businesses that broadened their product lines and reach, creating the first uptick in the value of publicly disclosed M&A deals for the region since 2007. Those companies now have strong bases that put them in a position to outperform peers in the coming years, said Mark Butterworth, principal with Worthington-based venture capital consulting firm Innovation Forward LLC, who compiles M&A activity among public and private companies for insight on how companies are valued. 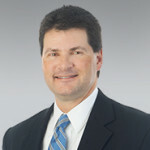 To start 2013, there may be a lull – at least in the first quarter – because a number of deals were rushed to close in 2012 out of fear over increased tax rates, said Todd Kegler, partner and head of the M&A practice at Kegler Brown Hill & Ritter Co. LPA. The Columbus law firm closed two transactions on New Year’s Eve alone. “Overall, the fundamentals going into 2013 are strong to favor increased M&A activity,” Kegler said. Kegler said U.S. public companies and private equity firms are sitting on more than $1 trillion in cash apiece, debt markets are healthy again and some uncertainty, such as questions over the health-reform law, has been lifted – each priming the environment for acquisitions. But those factors will be tempered by renewed confusion and frustration over Congress again delaying a solution to automatic government spending cuts that led to the “fiscal cliff” standoff. “The more uncertainty exists, the fewer deals get done,” he said. Kegler projects activity in the financial sector, technology and oil and gas, especially with the shale gas drilling in eastern Ohio. The health-care and restaurant industries also are likely to be busy for the year. Columbus-based Bob Evans Farms Inc. still is seeking a taker for its struggling 145-restaurant Mimi’s Café chain, and coming reimbursement cuts to hospitals and doctors are continuing the trend of small community hospitals and physician practices seeking sheltering arms of large hospital systems. OhioHealth Corp., the biggest hospital system in the region, has said it intends to grow again through acquisitions starting this year. Notable 2012 deals among public companies included Nationwide Mutual Insurance Co.’s $834 million acquisition of Harleysville Group Inc., a Philadelphia-area insurer. The deal increased Columbus-based Nationwide’s market share in the Northeast and East Coast, although it also exposed it to more losses when Hurricane Sandy battered the region in November. What’s significant, Butterworth said, is that it was the largest deal in the area’s financial services sector since Columbus-based Huntington Bancshares Inc.’s disastrous $3.6 billion purchase of subprime-tainted Sky Financial Group Inc. in 2007. “It’s good to see they’re financially strong and in the market making acquisitions again,” he said. Cardinal Health Inc., the state’s largest public company, was busiest in the region with five acquisitions in 2012, led by $165 million for Futuremed Healthcare Products Corp., which increased the Dublin distributor’s reach in Canada. A statement from Cardinal CFO Jeff Henderson said other strategic acquisitions were in U.S. markets and China, which Cardinal entered in a big way with a 2010 deal. Worthington Industries Inc. entered new product lines, buying Angus Industries Inc., which makes cabs for trucks and heavy equipment, and Westerman Cos., which makes cylinders for the booming shale gas drilling market. That follows key acquisitions by the Columbus steel processor during the recession to strengthen its existing products. Butterworth, an investor in technology companies as founder of the East Central Ohio Tech Angel Fund, also looks at small and middle-market deals where terms often are kept private. A trend is growing, he said, for Central Ohio companies to be the ones making acquisitions instead of getting bought. And those area startups acquired often are staying in the region and adding jobs under out-of-state ownership. One eastern Ohio company in his fund’s portfolio is taking a step toward acquisition by joining with a larger company that is negotiating an agreement to sell its product. More venture-backed Ohio startups are gaining interest in such sales and distribution agreements that can lead to bigger deals later, he said. “They acquire the company right before the sales take off,” he said.